Hi students, welcome to AmansMathsBlogs (AMB). As we know that the NTSE is an acronym for National Talent Search Examination. It is a two stages level exams. NTSE stage 1 is a state level exams and NTSE Stage 2 is a national level exams. NTSE is a national level scholarship program. 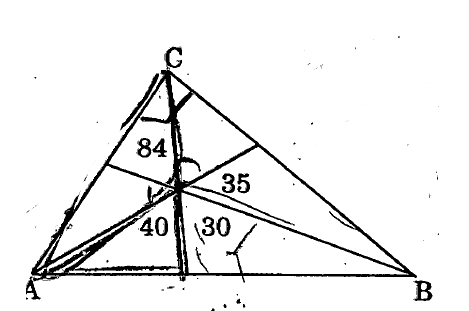 It is one of the oldest exams in INDIA for CBSE Class 10 students. NTSE stage 1 and NTSE stage 2, both are conducted by NCERT (National Council of Education Research and Training). 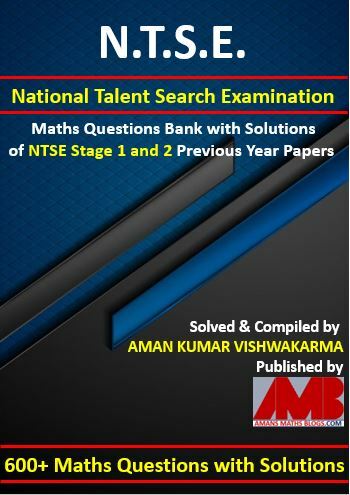 So this PDF, NTSE Maths Previous Year 500 Questions Bank With Solutions and Answer Keys is very helpful for NTSE Stage 1 and 2 exams. As NTSE Stage 1 and Stage 2 exams are conducted by NCERT. It is conducted for identifying the students who are highly intellect and academic talent. The main objective of NTSE scholarship program is recognizing intelligent students and nurturing their talent. So it is one of most prestigious scholarship examination in high school level exams. 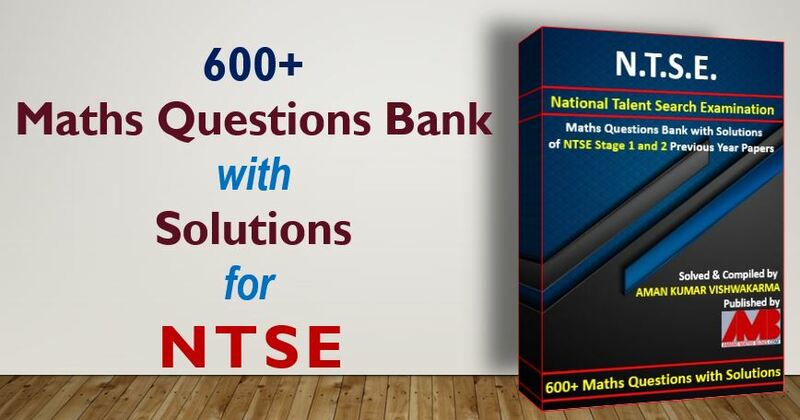 Thus, this NTSE Maths Previous Year 500 Questions Bank With Solutions and Answer Keys PDF is must for the aspiring NTSE students. Therefore, In this article, you will get the collection of NTSE Maths Previous Year 500 Questions Bank With Solutions and Answer Keys. You can download it as a PDF file. 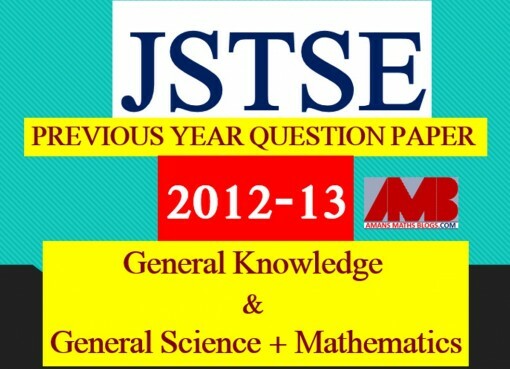 This PDF file contains the maths questions along with answer keys and solutions and all the questions are taken from NTSE previous year exams. These questions are solved by me, AMAN RAJ, I am maths faculty of IIT Maths Foundation course and founder of this website AmansMathsBlogs (AMB). 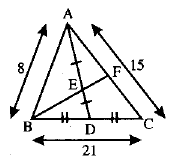 The In ΔABC, AD is median and E is the mid-point of AD. 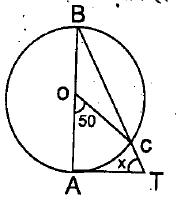 If BE is extended, it meets AC in F. AB = 8 cm, BC = 21 cm and AC = 15 cm, then AF = ? A person walked diagonally across a square plot. Approximately, what was the percentage saved by not walking along the edges? Let A, M and C be non-negative integers such that A + M + C = 12. What is the maximum value of AMC + AM + MC + CA?